This is turning into a fantastic day. Not only did I take the risk of highlights and a cut at a new salon in town, (and was happy enough that I didn't come straight home and get into the shower), AND I'm now on the design team for CAS(E) this Sketch (see today's earlier post), but Cath, the Trends Editor at Papercrafts Magazine chose this card as one of her favourites in this post! Sounds like time to buy a lottery ticket! ;) Such a cool and trendy-looking card. Congrats on Cath selecting your card as a fav! Well deserved, your card is OUTSTANDING!!! I'm thrilled you've joined us on the CAS(E) this Sketch DT! Ardyth this all totally deserved! Congrats! Happy dance time! In fact, SUPER cool, Ardy! I'm surprised Cath doesn't pick every one of your cards as her favorite! It will be fantastic to have you on the DT for CAS(E) this Sketch; well-deserved congratulations for that as well!! How exciting, Ardyth! This is a fantastic card! Congratulations all round! Your WOW! says it all. The card is superb and so is being on the DS at CASE this Sketch. Your creativity is being rewarded. Well aren't you on an AWESOME recognition roll! I thought you were already on CAS[E] Team - whoops. You will be an asset for sure! Congratulations! Wow is right, you are having quite the day. Your card is a fabulous choice, you're getting famouser and famouser! Famouser indeed! You go, Girl!!!!! Most of us have good, better and best, on a really good day. You just have best, best and best every day. Better hurry and teach your kids to cook before you get any more famouser. You're in the big leagues now! Congratulations! Had to laugh at the hairdressers comment - that's me every time! Your star is definitely shining! Awesome. What a day Ardyth. Congrats to you. YOu are amazing. Congratulations all around ! Such a stunning card very vibrant and fresh and so clever. Am not sure which piece of your news is the most exciting but your new cut and colour has to be right up there ! Whoop whoop! 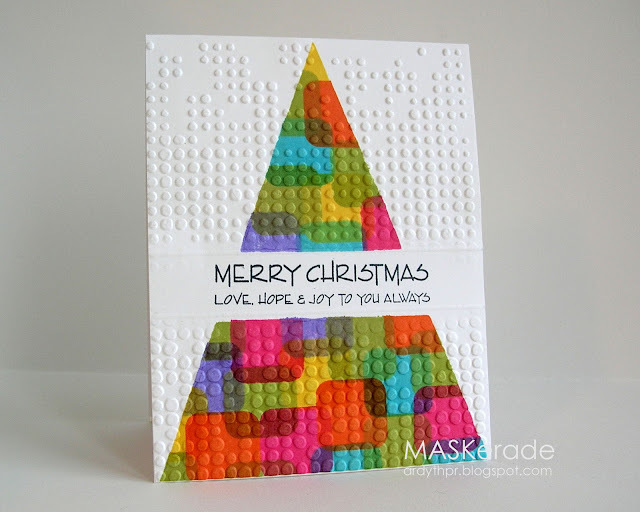 Was psyched to see this on the Moxie Fab blog! The colours and texture rock! How did I miss this post on the Moxie Fab blog?! I've told you before, this is one of my all-time favorite cards. There are only a few card pins I have, and this is one of them. Rats, I wish I would have come across this by surprise on Cath's blog. Oh well, so happy for you!! Dear Ardyth, thanks for your nice visit in my blog. I'm so happy I found yours: everything here is so cool, you are just so talented! This card is truly inspiring and stylish. Well, they all are really! Oh I love love this card. I just found your blog for the first time today. Would you be willing to share how you did this? I am Sillyfilly on SCS. Love your style and flair. Also I would like to find this challenge to possibly play along.